How to create your travel map: a few options. 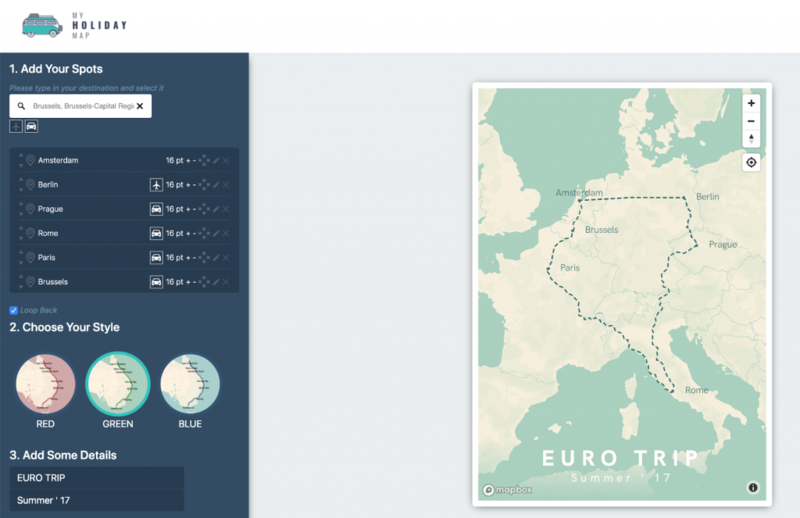 You can create your own travel map by using our user-friendly editor. In this blog, we will explain a few different maps that you can make by using our tool. We started My Holiday Map because we do a lot of road trips and wanted to find a nice way to capture them. 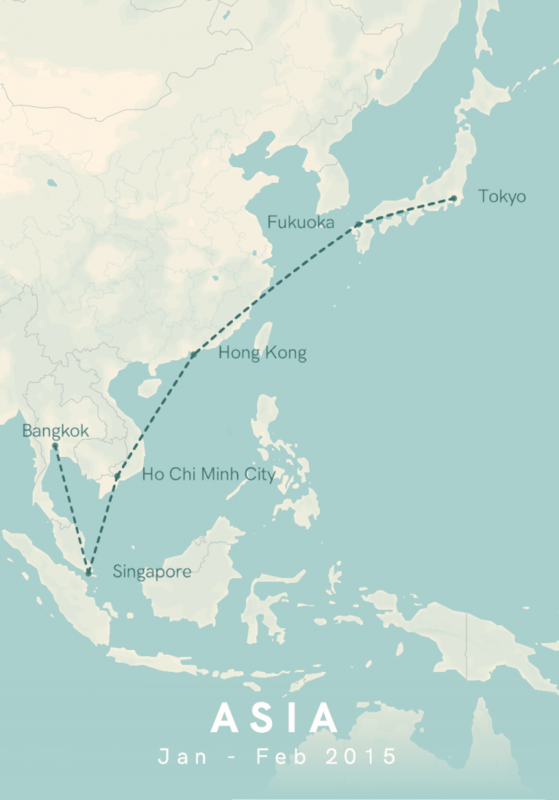 When you use your editor, you can add different locations and we will calculate the route between them. The route is standard set to “car mode” so you won’t have to change this. In the header and the subheader, you can add things like with whom you’ve travelled (e.g Harry and Meghan), where you’ve been (Europa Trip), the period that you’ve been on the road (Summer ‘69) or maybe the number of kilometres that you’ve driven. Tip: if you’ve done a round trip, make sure to tick the “loop back” checkbox so that we calculate the route between your last added location and your first location. If you like you’re cities and pretty to fly between them, instead of driving, you will find the “flight path” option useful. You will be able to create a map with the cities that you’ve visited and if you select the airplane icon before you select your destinations, we will draw a flight path between the different cities that you’ve visited. Our map builder can also be used for the somewhat smaller trips. You can, for example, use it for a trip within one country or even within a certain region. 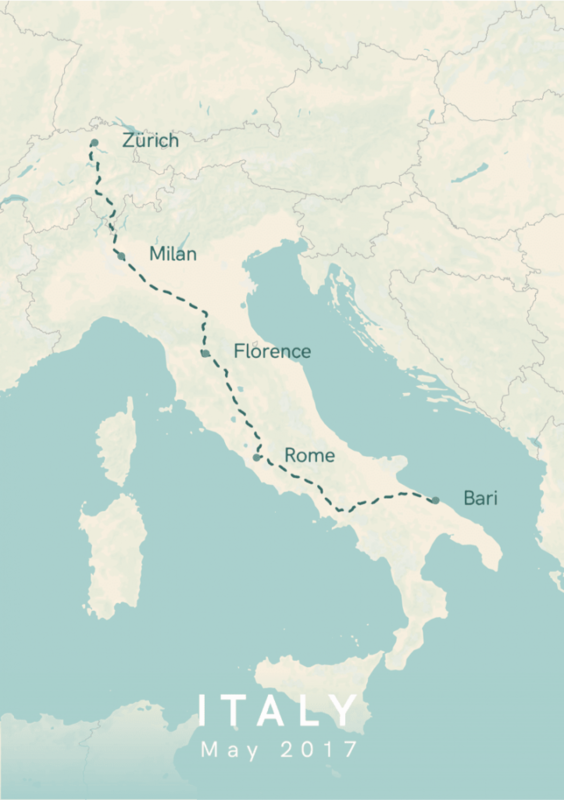 In the past, our customers have used our travel map creator to create a map for their travels in Tuscany (Italy), them following their favourite soccer team through the Netherlands or for a day trip to The Great Ocean Road in Victoria, Australia. We’re working hard on making our builder also suitable for trips within a city so that you can map your favourite city tours! If you can’t wait, please send us an e-mail and we’ll see if we can help you out in the meantime.